I read this article and found it very interesting, thought it might be something for you. The article is called Home and is located at https://runfastacademy.com/. Pick the service below that meets your needs. From virtual coaching to running form, we’ve got all it needs to help you become a better and happier runner. 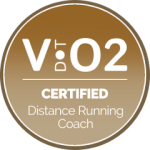 Achieve your best running potential with premium virtual coaching service. Get more personal attention, specific advice, data analysis, race strategy and much more. Personalized training plan based on your requirements. Our team has the knowledge, experiences and tools to help prepare your next race. Run faster, more efficient and stay injury-free with running technique developed by Olympic coach, Dr. Nicholas Romanov, Ph.D. Suitable for academic organization, corporate and all types of events. Our coach has years of experiences handling small and large group with high interaction sessions. I have started running for about 2 years and have completed several half marathons with a PB of 2 hours 5 minutes but needed someone to help me improve my pace and to complete a full marathon, with a decent timing. Sam helped me understand and improve my techniques on the Pose Method of running in a series of small group workouts. I have always looked forward to his sessions which are interesting, informative and very scientifically-based. Now I feel I am a more efficient runner and can cover greater distances at a better pace. testimonial here testimonial here testimonial here testimonial here testimonial here testimonial here testimonial here testimonial here testimonial here testimonial here testimonial here testimonial here testimonial here testimonial here testimonial here testimonial here . Train smart and get the most out of your workout with evidence-based designed calculators.